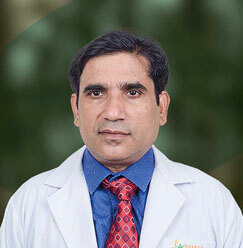 Dr. Hari Mohan Kansal has been associated with Sharda Hospital for a long time span of 7 years and 7 months. 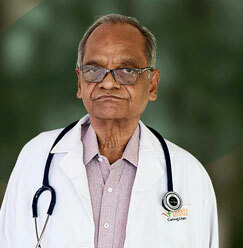 A master in the field of Respiratory Medicine and Tuberculosis, he has a total work experience of 42 years. 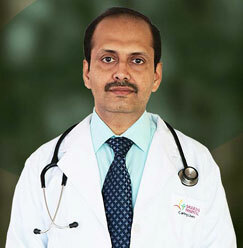 Dr. Kansal has attained all his medical education from GSVM Medical College, Kanpur. 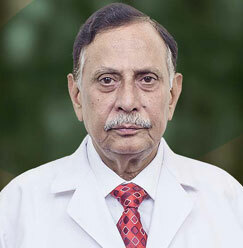 Before joining Sharda Hospital he worked in specialty for nearly 30 years in State Health Department and was also involved in the Tuberculosis Control Program. Kansal HM, Chaudhary Eema,Garg Vinay, Rohtagi Vishesh: Ind. J Public Hlth & Development: Accreditation of Private Labs for Quality Participation by Private Practitioners in RNTCP: A Cross Sectional Study in Indian J of Public Health Research & Development: 2014,5(3),58-62..
HM Kansal, Eema Chowdhary, Saurav Srivastava,Shitij Goel, Sushil Gaur,Sunil Kumar Bhadouriya: Efficacy of non-invasive Ventilation in patients of Respiratory Failure: A Study of 50 Patients: Scholar J of Applied Med. Sci.,2015,3(2C),689-92. Kansal HM, Kuber Dheerendra, Srivastava S, Bharadwaj N: Prevalence of HIV-TB Co-infection in Gautam Budh Nagar of Western Uttar Pradesh: Journal of Evolution of Medical And Dental Sciences, 2016, 3(2c), 685-892.